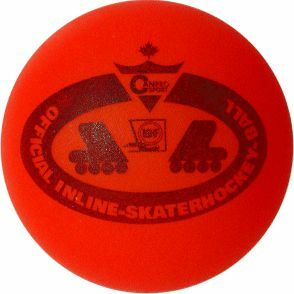 Balle de hockey sur rollers officielle et approuvée par l'IISF (International Inline-Skaterhockey Federation) comme la balle à utiliser pour les tournois de hockey. Good. You just need to make sure you warm them up before you shoot otherwise they split in half. Very good weight. heavy duty balls for outside courts excellent will see what they do on frosty nights when I've had other balls shattee.